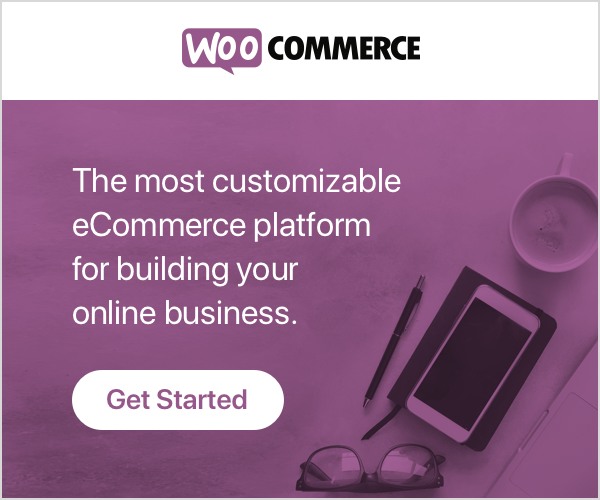 Are you wondering how to monetize with a plugin? I know how curious and excited you are now! I am going to explain what is thrive architect and how you can make money using it. Thrive Architect is a WordPress page builder plugin which helps to create stunning visual content and conversion-focused pages for your website. 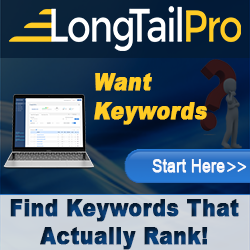 This is a great tool for business and marketing websites. 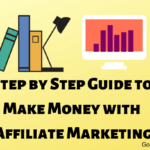 There are 3 ways you can utilize this plugin to make some earnings as an affiliate marketer or a blogger. Your home page gives the first impression to the visitors about your website. Home page must be high converting and engaging. With thrive architect page builder, you can create a visually appealing and colorful home page like mine. Instead of making your home page as just a blog post page, make it as an offer page. Provide more information, more choices for your audience. Place all your tutorials and how to guides, resource posts on the home page. When you create an engaging home page with a lot of offers for your visitors, there is more chance for sales. Check out smartpassiveincome.com by Patt Flynn. He provided his guides, recommended tools, podcast everything on the home page. He recommended his favorite tools and books too on the home page. 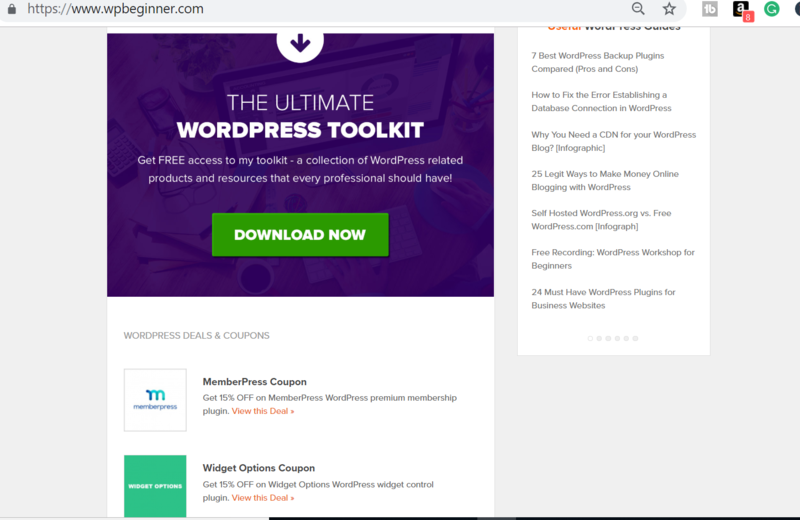 If you see WPBeginner.com along with recent post they have provided featured WordPress plugins, the toolkit to download, and also mentioned the deals and coupons available for WordPress bloggers. You can creatively make use of the home page template using thrive page builder and make good sales. The only purpose of the landing page is sales. 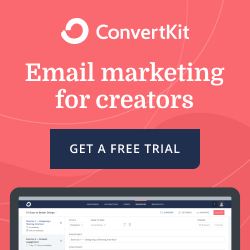 Create conversion-focused landing pages for your product. There are 274 beautiful and conversion-focused landing page templates available in thrive architect. Utilize all the templates and create as many landing pages as possible for every product you want to make a sale. 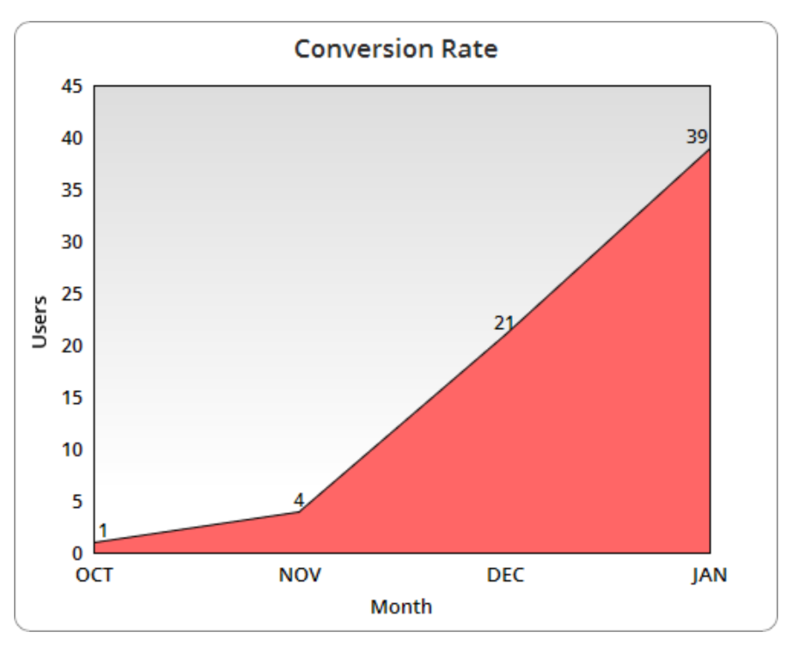 After creating a separate landing page for the wealthy affiliate, my conversion rate has been increased progressively. Check out my post on how to create 3 types of conversion-focused landing pages for making more sales. To sell your course, e-books or physical products from your website, you need to create a sales page with good copywriting techniques. 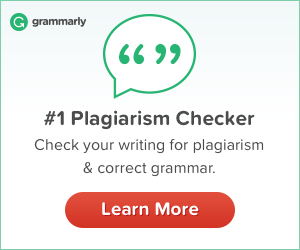 Don't worry if you are not a copywriting pro. It is simple and easy to make sales in a few minutes with thrive sales page templates. They provide sales page with copywriting templates where you can easily fill up words. This template has all the mandatory details to be filled to sell a fitness book. You just need to highlight the benefits and reasons to buy the book on the sales page. Get rid of those boring blog post. Make your readers feel good when they read your articles. When the readers are visually pleased with your content, they spend the time to read and get engaged. They develop trust and buy your recommended products. There are a lot of features available to create a stunning article. I am not going to explain all the features in detail here. I just want you to get an idea of each option available and how you can use it to build an attractive blog post. You have a content box where you can add elements like headings, text, tables, style box etc. Add animated effect for the content box. There are 3 options available. 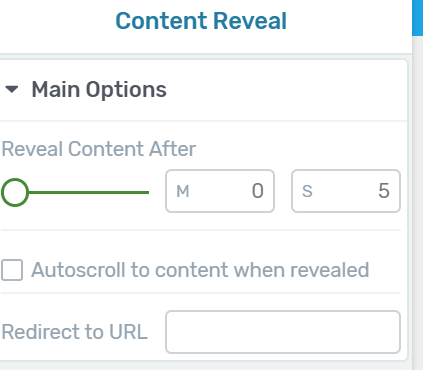 With content reveal element, you can make the content to appear after a certain time period. I used a lot of plugins like table of content, countdown, author bio, etc. After installing thrive architect, I removed most of the plugins. Thrive architect gives you get most of the mandatory plugins & features and helps in the website loading speed. When your website loads fast, your site gets quick attention from the visitors which helps in decreased bounce rate. These are the elements and features available for you to create the most interesting and professional blog posts. 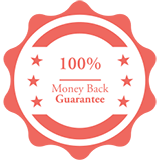 This is a sample template of guarantee box. When you write a product review you can add this element in your content. Install the thrive plugin, play around with the elements and create powerful and professional content for your audience. Make your visitors engaged in the visual treat and do more sales! 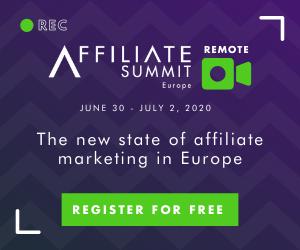 The third form of monetization is to join thrive architect affiliate program and promoting it. 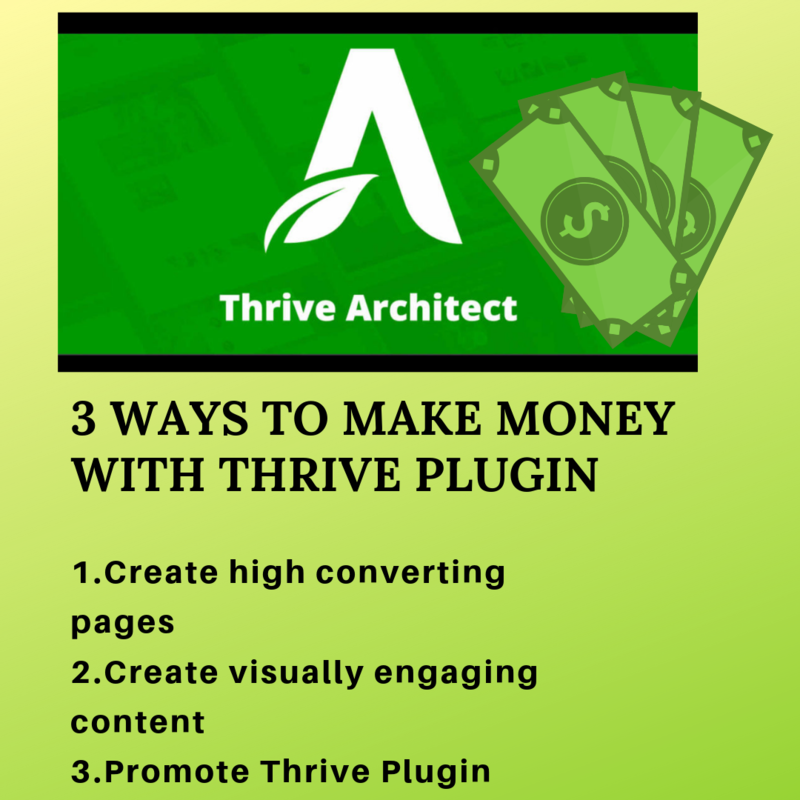 Buy the thrive plugin and build pages for your website. Write tutorials and guides on how to use thrive architect effectively. As a blogger, you can introduce this plugin to your fellow blogging friends and help them to create beautiful attractive blog posts. The cost of the plugin for a single website is $67. When you promote and make sales you get 35% commission for each sale which is $23.45. If you do 3 sales, you get the buying cost back and the plugin is free for lifetime. After 3 sales, all you get is only profit. 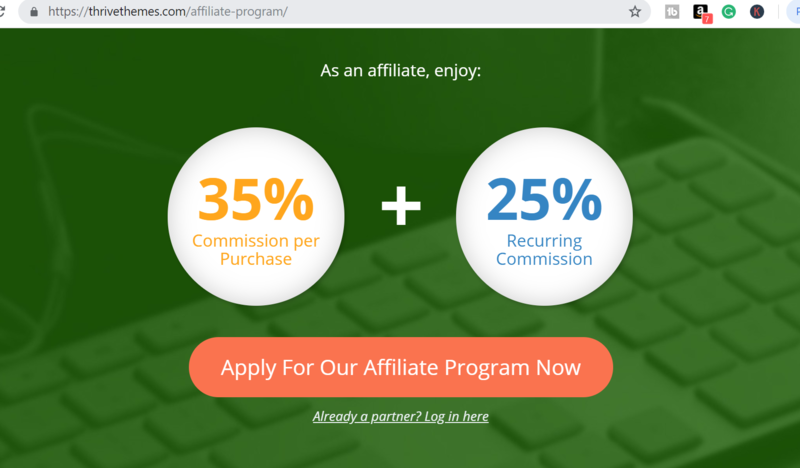 Additionally, you have a recurring commission of 25% for all the sale you make. It is good to recommend a product only after you use it. 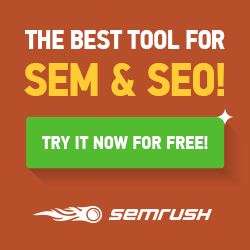 So that you will be able to explain the product in depth and help your visitors. Go ahead buy the plugin now and make more money!! Disclosure: This post contains affiliate links. This means I will get a small commission if you make a purchase. This doesn’t cost you more than the actual cost – thanks for your support! Great article and as I can see quite a demonstration of what can be done with Thrive architect. I do have just a couple of questions. 1) Is this fully compatible with WordPress 5.1? 2) How user friendly is the software to use? Yes, WordPress latest version support Thrive architect. Thrive plugin is the drag and drop editor. It is simple and easy to use. 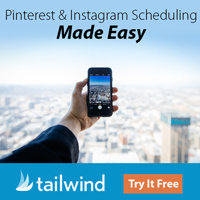 You can play around with all the elements and construct beautiful pages and blog posts. Thrive themes provide all the tutorials and how to guide videos which describes how to use each and every element in the plugin. Also, you get support from thrive admins anytime. Thank you for sharing this. I sat last night and searched for various plugins that can help me create good landing pages in wordpress. 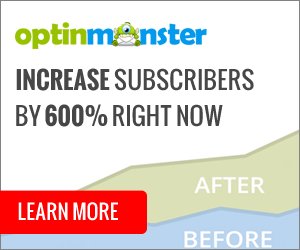 I’m quite new to this, and realize it’s an advantage with a landing page that provides high conversion rates (although I hardly have any traffic that converts yet). Here you gave me several other ideas as well, how I can make money with Thrive Plugin on both homepage and sales pages as well. I’m currently building out the framework for my MMO niche site and am looking for a theme to really allow it to stand out from the competition. Previous articles regarding the Thrive plugin have been identical to yours, meaning it’s most definitely credible. I’m particularly interested in the Landing Page, as well as promoting Thrive Architect, as it seems to be the number one theme/plugin out there today, and it’s only gaining steam. Definitely, thrive theme is the most popular one because of its ease of use and simplicity. It is easy to create conversion-focused landing pages with thrive page builder. Hope you install the plugin, promote and gain from it. A very nice site, nice layout and you know what you are talking about, The only point is that the post is so long. Great article on Thrive Architect. I actually use their Thrive lead plugin for one of my landing pages. I didn’t find it easy to use initially but got the hang of it at the end. I have also been thinking to get a page builder to build different components on my site and never realized that Thrive Architect also offers similar features. What has your experience been so far? I would like your honest opinion on this, please. I like quick and easy play and plugin tools, something that doesn’t take too much of my time and wasn’t very impressed with thrive leads when I first tried it. Love to hear your views on it. I have been using Thrive architect for more than 3 months now. It is simple to use as it has the drag and drop editors. When I stuck with using any element I watch thrive themes video about that element. They have a clear short, how to use videoes for each element. I guess, thrive architect will overcome all the disadvantages of the lead plugin. Coming to the landing page, I felt easy to create and design landing and it didn’t take much time for me. Overall I am satisfied with thrive architect and highly recommend for bloggers.